Why ? They stole the Tech of the ancient robots … or … The Ancient Robots gave it to them ! They are the Henchmen of the Ancient Pirates led by Scervo. True. But remember how the technoblins existed 1000 years prior to the events of the game proper. (Sorry, I pressed submit by mistake) ... of a theory involving the time-shift stones. 1000 years prior to SS was the ancient battle opposing Hylia to Demise, Bokoblins are members of the Demon Horde that attacked the humans. I challenge you to a theory-off. Navi is the reincarnation of Link's Mother ! As seen In AOL with the Fairy Spell and FSA with the maidens, Hylians can turn into Fairies. One of the particularities of the branches of the Deku Tree is that, if a butterfly lays on it, it will turn into a Fairy, surely because of the flow of Magic they have. The Deku Tree turned his dead Mother's Spirit into a Fairy ! Navi does not possess the memories of her past existence but her motherly love toward Link persisted. Maybe if she left Link at the end of the game, it was because, at the end, she recovered her memories. Demise being related to Lorule is something a lot of people believe in but which makes no sense Lore-wise. When the Master Sword is on its pedestal, is it Lorule's Triforce ? No, of course, the Triforce symbol is pointed correctly when you do "the skyward sword" which summons Hylia's powers. Demise would do the opposite, the "Hellward Sword", his Sword points to the worlds of below, not to the Heavens. He hates Gods. Lorule already has Yuga, which is basically Ganondorf's counterpart. And that would means that there was Demise's Lorulean counterpart. For Lorule's Master Sword … we never went to its pedestal and they have a sacred realm too so I suppose it exists and maybe Ravio will wield it, who knows ? But I like the idea that Ghirahim was forged with the three dark flames, which represent the darkside of the Triforce's values. Well … the one with the Dark Flames was good ! So bored. How are you? Yeah, I'm the same way. Well, I was sick, so I stayed home. I was plaining to scuba dive with colleagues and friends but, no. I heard fasting was helping with recovery so I didn't eat anything but water ... and now water have a taste. I don't understand why but it's a little hard for me to connect to ZU recently, Google says that someone is maybe trying to hack me, if I'm acting suspicious or anything, it's probably someone else usurping my account. I'm not the best out of here with informatics but I would like to prevent any wrong from happening. Don't mind that, it's okay now. I've seen you around YT on a few Zelda videos! Yeah, that's true, I'm fond of anything zelda related. Hi, btw your view of lefties are not precise. No, logicalpencils IS NOT an example of leftie you should look at. Not all lefties are like that. My mom, sister and son are lefties, their mindsets are different from logicalpencil's mindset. To stereotype a certain group of people as how a minority of them react and think is not wise, tbh. Well, I was assuming he was from the right … Well, I wasn't and still not informed enough to truly understand why he was ban. Your sister, mom and son are probably great people, most of the people I like are lefties too, I have no problems with those of the soft left. When I wrote this on his Wall, I was maybe overreacting since I like this guy, even if sometimes he is a push-hard. Thank you. All's fine, buddy. Your theories are still amazing! I feel like you should make your own thread that has all of them so far in chronological order, or maybe a Google Doc. Also, happy belated birthday! Sorry I missed it! Sure, making a compilation of all my theories into an Hyrule Encyclopedia kind of stuff is one of my goal. Happy birthday! Hope you continue to make such amazing theories in the future. Hey, that's my 27th birthday today. What an event. Have you ever read HE? I got my copy recently and it is DAUNTING. Like, twice HH, easily, especially with the text density. Yeah, so big I should read it more in depth. The Book is great, so many awsome things in it. I'm just mad about the Story part ... But since they admitted that it was all interpretation in the introduction, I'm good with it now. By reading it, sometimes I realize they were really caring about all the Lore while writting this book. There are even sociograms of the characters, this is so interesting, I was thinking of making one between the games thanks to it. Any thoughts about? could you resume it to me, please? Thanks ! I'm doing well. 1000 years before the event of Skyward Sword, Lanayru was a green valley near the sea, the ground possessed mysterious stones named the Timeshift Stones, they contain the power of Time itself. On certain stones, there is an eye symbol painted on, very similar to the Sheikah Symbol. The Sheikah also use a Blue Magic and might be connected to the Timeshift Stones, it may be the source of their power, Hyrule's Uranium or something. In Breath of the Wild, there is Mount Lanayru with a new Sacred Spring, the one we missed in Skyward Sword. But, the things that are interresting in this place are, on the road to the Mountain, old Ruins dating from the Era of the Goddess Hylia, with pillars and Bird Statues identical to the ones found in the Temple of Hylia in SwS. 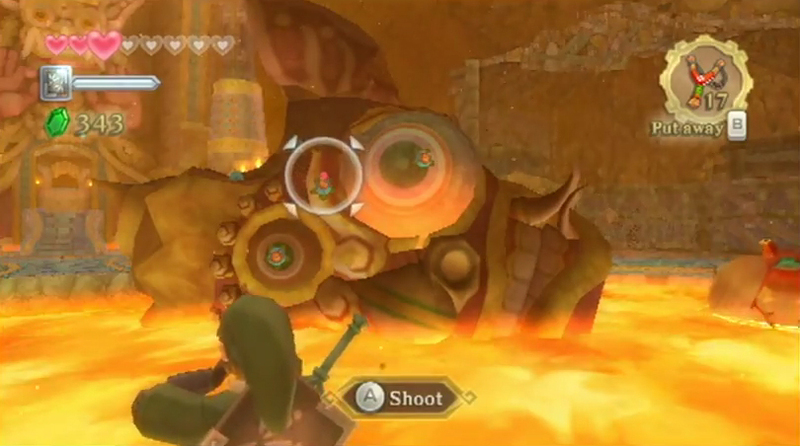 It may be the Sheikah City where the Sheikah were hidden during the 1000 years before Skyward Sword. Most of Lanayru serves as a minning facility, robots mine the stones and they are transformed at the facility into those sort of battery crystals. The head of all of this is the Dragon Lanayru, one of the Dragon Spirits serving the Goddess Hylia, he is said to have built the Ancient Robots. The Ancient Robot existence is meant to dig up Timeshift Stones and transfoms it into Batteries the Timeshift Stone is used as an energy source itself. All the security system (Beamos, Armos, Sentrobes) also work this way. There is a bay with a Ship, this Ship main mission is to protect the Blue Flame but since there is a bay with container, maybe it also serve to share the Timeshift Stone elsewhere in the World, maybe that the Lokomos or the Cobbles who are also technologicaly advanced are interested in it ? The main use of the Timeshift Stones was the creation of the Gates of Time, but all this facility for two (or three) Gates ? This seems fishy for me. I believe that the Sheikahs were the first consumers of Timeshift Stones, and that they built the ancient sheikah Tech, Guardians and Divine BeastS with it at the forgotten Temple, where a third Gate of Time was hidden from human knowledge (the Fire Sanctuary). This is connected to my theory that Sheikahs are Time Travelers, and that they were sent by Hylia in the futur to save the world from Calamity Ganon during the first Calamity War, after she had one bad dream about it (like Zelda with Ganondorf but at Divine level), some times after Demise defeat and before she left her Divinity, the Spirit Orbs gave by the Monks may even be her shattered divine powers. The Sheikah Monks were literally blessed by the Goddess Hylia. The Lanayru Spring may contains hidden memories that would have distracted her reincarnation from her primordial Duty, destroying Demise. It would explains why she became Zelda in the first place, to use the Triforce, but never she used it herself, it was Link, but in BOTW, her Sealing Power may be the Triforce itself and thus, Hylia has plained everything since the start. The biggest mystery of Lanayru is its desertification into the Gerudo Desert. I attribued this evil act to an Evil Goddess as said by Navi, the Goddess of the Sands. It even killed the Dragon Lanayru, a powerful Spirit, she is the most possible exemple for me. I also have some thoughts about the desertification, but I need to work them a little. I already saw people noticing it before. It's just like this "U with a point" symbol. This symbol is also very similar to the wind crest from Minish Cap, it was from the Wind Tribe, but I don't think this Wind peoples were those we saw in that game but their ancestors, from the ancient time. 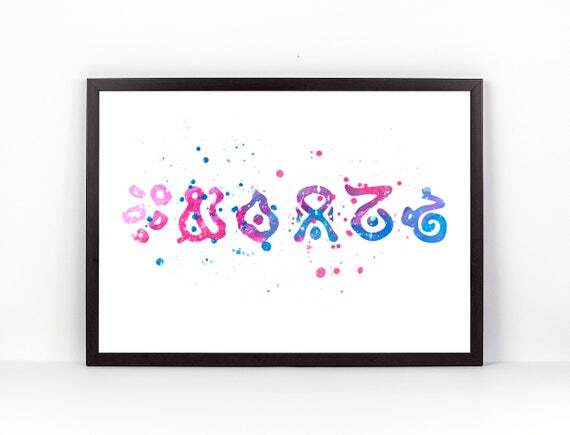 It may be the symbol of the ancients, the Zonai Tribe which I believe to be the common ancestors to all tribes from Hyrule, the Lurelin people being their closest relative. Actually, maybe the beetle, it was said made in Lanayru but is found in Skyview Temple, the Lurelins being close to the forest. There is also Gondo from Skyward Sword, he and his mother have a darker skin tone than the others, something like the Lurelin people have and more importantly, his grandfather passed down the flying Ancient Robot, Scrapper. With Skyward Sword and other games, I theorized possible ancient human Tribes from the Era of the Goddess Hylia. The Wind Tribe with the ruins at Castor wild. The Forest Tribe with the Skyview Temple. The Mountain Tribe from Eldin, with the Earth Temple and Fire Sanctuary. And the Sheikah at Lanayru. Those "Forest People" might be Lurelins's ancestors, and they possess some of the Lanayru's Ancient Tech. Maybe the Lurelins where actually the inventors of the ancient tech, and the Dragon Lanayru has took their place just after they left the surface, maybe they were even more advanced than the sheikah. Nonoctoro: "There is also Gondo from Skyward Sword, he and his mother have a darker skin tone than the others, something like the Lurelin people have and more importantly, his grandfather passed down the flying Ancient Robot, Scrapper." Oh, come one!!! this is just great!!! It definitely proves the zonai/robots connection, giving a lot of credit to speculations about zonai references in SS like the Skyview Temple you mention. Simply great. But if they are distinguishables by that dark skin from so ancient times, I´m more inclined to agree on the theory of multiple ancient tribes, than the theory of the common ancestor of all tribes. Whats seems clear is that their culture dissapeared long time before SS due to Gondo doesn´t seems to know nothing about his own tribe and the sheikahs seems to have inhabited Lanayru after them. - Long before SS, the zonais were a barbarian tribe that inhabited Lanayru and they well knew the rich resources of that lands, especially that magic minerals of Lanayru. With its power, they expanded their civilization, built temples and labyrinths and became dangerous for other races and tribes due to their warlike behavior. Sheikahs, that lived in Faron (I think so due to the Ancient Cistern location and the closeness of the Sealed Grounds) became aware of that incredible power source in Lanayru and, with their wisdom, magic skills and tech, taught zonais how to use timeshift stones properly. They started industrially minning and making robots, but the apparently good relationship doesn´t last for long and sheikahs soon predated the dangerous zonais, along with their mineral, their land and even their constructions, as we see in BoW. Some event during this war is what probably caused the desertification. The few zonais survivors moved to Faron, where they lived and mixed with other races until their almost disolution, only remaining Lurelin. Finally, all of this conflict and the crazy possibilities of the timeshift stones is what led to the emerging of the dark tribe among sheikahs, or even among that zonai survivors. And that´s why the Lanayru Dragon took the control all over the tech and minning. Ufff, so long... sorry. I will try to be quick with the other races of your Ancient Tribes theory. Really good stuff, man, congrats. - And while I´m a stablished-canon believer, I have the exception of the fantastic Tingle Trilogy, that I suppose you well know by some of your theories. So, don´t you think the Yamatami tribe fits really well with your Mountain tribe? Now that you bring the Tingle game one, So you are also placing Rosy Rupeeland before Skyward Sword ? I see this game as the origin of Tingle itself. I was plaining someday to make a topic out of this. Yes, I aslo believe that the Yamatami Tribe are related to the "Mountain People" from Eldin. They are maybe their ancestors. Near the Mountain is found the Auros Ruins, they were an ancient civilization collaborating with the Fairies and using the power of Rupees. I theorized that they onece seeked to build a paradise on Earth, Rupeeland and so they asked help to a certain Deity, the Uncle Rupee. But soon they realized that Uncle Rupee wasn't a Deity of Good, he was instead the incarnation of the negative side of the power of Rupees, a Greed "Demon". He gathered enough followers from the Auros Tribe and their own Greed transformed them into Demons, the Oinkers. The Hero Lyphos wielding his sword, with the help of brave men, defeated Uncle Rupee and sealed him in the Western Pound, Uncle Rupee cursed the Brave Men so they and their descendants will die at the sun light, they become the Salonas and later the Subrosian, living in the underworld land of Subrosia where the sun light is no longer to fear, and the Hero Lyphos died by falling into a simple trap while exploring the Auros Kingdom Ruins, killed by its own greed(Many Heroes are greedy). The Yamatami are the left over of the Auros Kingdom, they may venerated the Dragons and lived in harmony with the other mountain races (likely the Gorons) during the Era of the Goddess Hylia. But I see what you're saying, where did the white taned people come from ? I see this just like America. Hyrule is comparable to America and the Zonai, to the Native. In Tingle RR, Port Town is made out of Ships, white taned Humans came from colonization. A more civilized human clan from outside settled down to the land of Hyrule. And during the Era of the Goddess Hylia, they joined the cult of Hylia leaving behind their past. Maybe the Hero Lyphos was one of those and a relative to Link himself. For the Sheikah, they are more Eastern~Asiatic like and Breath of the Wild futher confirmed it, but they may are also Albinos, white skin and hair ... another thing Albinism brings changes is to the Eyes, the Eyes are rather Blue or Red, two Color we find over the Sheikah. Blue for the Sheikah Tribe and Red for the Dark Tribe. Groose and the Wind Tribe are connected, what about the Gerudos ? Gerudos are also connected to the Wind, Ganondorf from The Wind Waker compared the Winds of Hyrule plain and of the Gerudo Desert, one brings life and the other Death. Maybe the Gerudo were members of the Wind Tribe spliting apart to follow this Wind of Death and the Goddess of the Sands. The Wind Tribe where miserable before the intervention of the Minish helping them grows their civilization. Maybe that the Gerudo tried to find a solution elsewhere, becoming thief and stealing to others while the Wind Tribe wished for help, those Wish incarnating into the Minish. And so Groose is a descendant of the Wind Tribe, in the Wind Fortress, they even lied that it was themself that has founded a new capital in the Sky when Hylia made everything, Zelda with Hylia memories probably accepted Groose founding his Grooseland over Skyloft, fufilling the Pride of the Wind Tribe. Yeah, you've bringed a new perspective over it, thanks. The Human one teaveled around the world and settled in its continents, The Zonai, Lokomos Ancestor, the Cobbles ext ... where splitted. -The Zonai Tribe appeared in the three regions of Hyrule, making Cities, just like the ancient Greece, those Cities made war with each others until they all divided into 4 Kingdoms, the Mountain, the Forest, the Swamp and the Valley. - The Mountain Kingdom Became Auros Kingdom, they teamed up with the Fairies to build an advanced civilisation and plained to build Heaven on Eath, Rupeeland but failed. - Colonizators from the East Sea settled and made Port Town. - Uncle Rupee took over the Land, the Hero Lyphos defeated him. - The Auros Kingdom was destroyed, but their descedants became the Yamatami Tribe, later venerating the Dragons and libing in harmony with the Gorons. -The Swamp Kingdom at Tabantha excel in the control the Wind, but they suffered from a crisis. Half of them become thief and joined the Goddess of the Sands, they are the Gerudos. The Minish responded to their Wishes and expanded the Wind Kingdom, the Xind Tribe rise. - The Valley People seeked to know the Truth, saw it and splitted into the Sheikah and the Dark Tribe. - The Forest People where the last of the Zonai, they expanded and build an important civilization, their Technology was remarquable, they made the Beetle and stuff, having cultural exchanges with the Sheikah. They offered it to the Dragon Lanayru. -Hylia united all the three Regions during the Era of the Goddess Hylia. -The Ancient War happened and all humans, (except the Sheikah living in their hidden city, the Gerudo leaving this land and the Dark Tribe, living underground) where sent in the Sky. - The Surface was repopulated. - Hylians, the melting of native tribes and of the colonizators, founded Hyrule. - Sheikah shown up and helped the Hylians after Zelda. - Groose founded a new Wind Tribe at Skyloft. - Gondo founded Lurelin Village. - Gerudo came back from their nomad trip and founded a Kingdom at Lanayru Desert. - The Dark Tribe was banished in the Twilight Realm, Sheikahs took their place at the Shadow Temple. Hmmm ... Still mostly unclear, I should make a thread out of this. - Forest: The Neo-Zonai Tribe, Lurelin people at Faron. - Mountain: The Auros and Yamatami Tribe at Eldin. - Valley: The Sheikah and Dark Tribe at Lanayru. In Breath of the Wild, the most important Zonai ruins are also sperated into those location, the Zonai Ruins at Faron (Forest) and the Lomei Labyrinth in three regions (Mountain(Island), Swamp(Hebra), Valley(Desert)). It does not work completly but enough for me. Thank you so much ! I was always denying any connections between Groose and the Gerudo but, they might be connected. Is that...Senbei Norimaki...all over your profile? The only one, from Dr Slump, pretty much the best Character drawn by Akira Toriyama ! And also, my double, my doppleganger; Same face, same hair, same funny look. I'm familiar enough with Toriyama's work to know of Senbei and Doctor Slump. It's hard for me to decided which of his myriad of characters is drawn the best however. Hey Nonoctoro! I saw lots of your theories, and I'm a big fan of them. I also really like how you stay true to established Zelda lore. Please keep going! Thank you very much ! For your interest and your support. I am myself a big fan of Zelda Lore and my theories are basically corks for lore holes, missing backstories or potential links between elements. I'm glad you like what I'm doing ! I'll do my best. Here my new Avatar, Senbei Norimaki into a Hylian. Hello It's me THE Greatest Theory Maker of this Time !